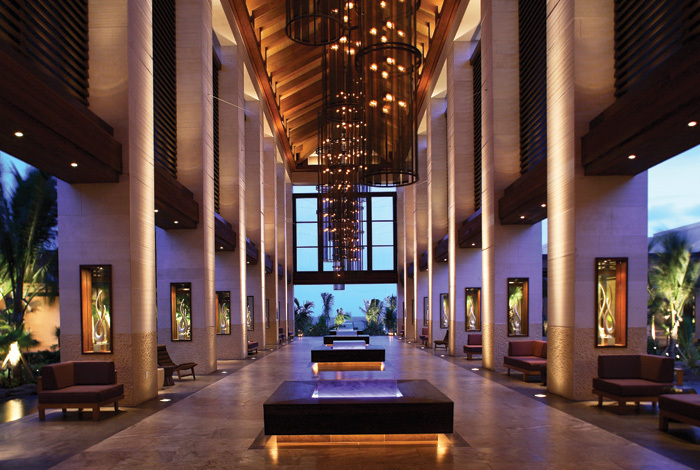 New York architect Jeffrey Beers has worked with the world’s top hoteliers and restaurateurs. 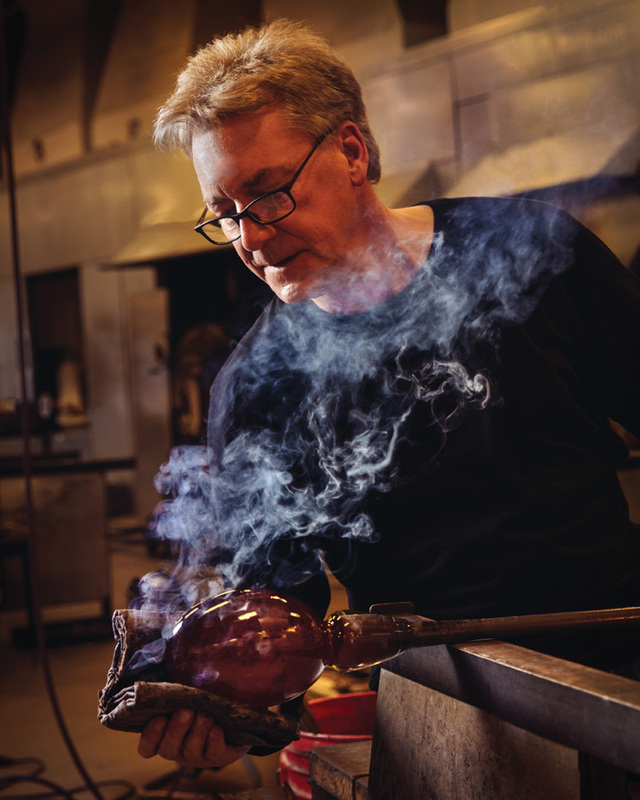 For the past 30 years, he has been running his own firm, Jeffrey Beers International (JBI), having learned the ropes from notable mentors such as architects Oscar Niemeyer and IM Pei, and glass artist Dale Chihuly. From his early days growing up in New York and travelling with his parents, Beers developed a fascination with architecture, and hotels in particular. ‘My parents were in the travel business so, as a teenager, I was lucky enough to travel with them around the world. But New York was no less an influence. ‘I reacted very powerfully to how everybody who lives in this city is ruled by the architecture, the urban planning, the built environment,’ Beers adds. One staple of his work has always been the integration of architecture and art. Last year Beers was the keynote speaker at London hotel design conference Sleep, where he explored the idea of emotional spaces. ‘Emotional spaces are spaces that are layered with a sense of emotion and encompass how one feels about the space. I’m very interested in hospitality because it’s all about how you feel when you enter a hotel room, a restaurant or a bar,’ he said. Beers adds that although his focus as an architect is very much on fundamental technical principles, such as proportions, scale and dimensions, he always tries to bring a real sense of materiality, colour and artistry to a space. ‘I was never really inspired by the sort of “white box” architecture of the Seventies and Eighties,’ he admits. At the time of brutalism and the ‘white box’ inventions of the New York Five, Beers found inspiration at the Rhode Island School of Design (RISD), where he studied architecture. ‘It’s a wonderful architecture school, but it’s also a prestigious art school and I became very friendly with many artists there, from painters to sculptors, to apparel and graphic designers. It was sort of a renaissance education for me,’ he says. At RISD Beers also met glass artist Dale Chihuly, who has become a lifelong friend and collaborator. As Beers discovered glassblowing, he became fascinated with the material. Bringing the two disciplines together has been invigorating for Beers. ‘Architecture can be a very rigorous, disciplined, measured exploration that can take quite some time. One can investigate something for days, weeks, months – if not years. With glass, you really are working against time,’ he says. While at architecture school, Beers had an opportunity to visit Brazil. ‘I became enamoured with Brazilian artists and especially the Brazilian architects’ use of glass in controlling humidity and light, and bringing artistic expression to their buildings. Brazilian architects worked very closely with landscape designers, painters and sculptors,’ he says. It was Dale Chihuly, himself a former recipient of the Fulbright scholarship, who encouraged Beers to apply to study abroad. Beers was awarded a scholarship to study the integration of art and architecture in Brazil. As part of the thesis he was writing, he secured an interview with Oscar Niemeyer. The two hit it off well. ‘He thought I was maybe asking him for an internship or a job and it took me a split second to say I’d be delighted. So, I embarked on an apprenticeship with Oscar Niemeyer in his office on Copacabana beach,’ Beers says. He spent some 10 months working with Niemeyer and then headed to São Paulo for an apprenticeship with another Brazilian great, Ruy Ohtake. But after that, New York was calling and Beers secured a position with Chinese-American architect IM Pei. ‘He was one of the first architects to use curtain wall design in large skyscrapers. That really fascinated me,’ Beers says. He spent the following eight years working at Pei’s firm and designed a number of hotels in South East Asia. It was then that Beers’ first solo commission came about. ‘A restaurateur asked me to look at a space with him that was 200ft [61m] long by 33ft [10m] wide. It stretched an entire city block, from Broadway to Mercer Street in Soho,’ he says. 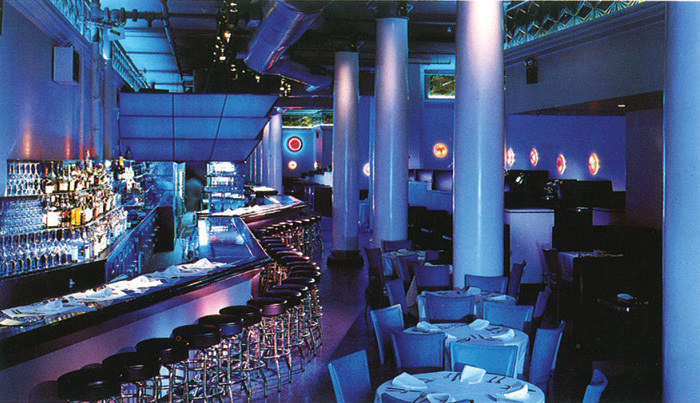 It was 1985, the restaurateur was Philip Scotti and, at 55m, Bar Lui became the longest restaurant in Manhattan. Miami Vice-inspired, with bright hues of blue and lavender, with pink and magenta sconces, the restaurant became a big hit and garnered much press coverage around the world. From there on, Beers’ phone started ringing, leading him to take Pei out to lunch and admit to his boss that he had another opportunity, in going it alone. ‘He supported me entirely and gave me his blessing. So, I went off and started my own practice,’ Beers says. The first 10 years of running his firm, Beers was designing restaurants, nightclubs and bars, from New York to Miami and Las Vegas to Los Angeles. This led to hotels and, eventually, large-scale resort hotel properties. Now, he also includes cruiseships and residential condominiums in his portfolio. Highlights for Beers include The Cove in The Bahamas – a new-build luxury boutique hotel within a larger Atlantis resort – and Miami’s Fontainebleau Resort, which was an opportunity to revive a classic, historical hotel. Both were completed in 2007 and gained significant recognition and awards for Beers’ practice. 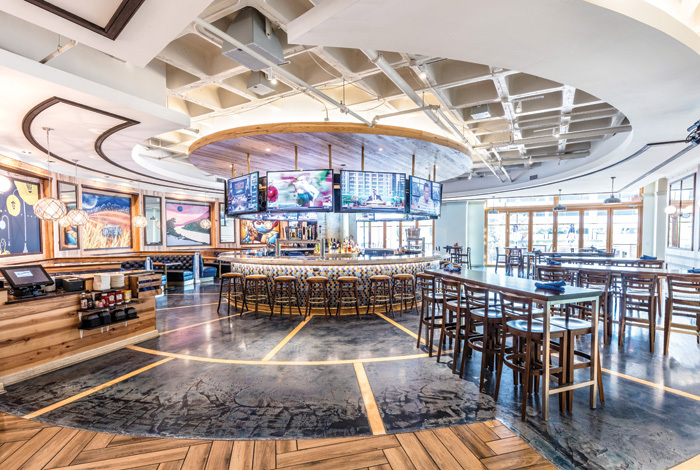 JBI’s latest projects include revamping the lobby and lounge of the El San Juan Hotel in Puerto Rico, part of the Hilton’s Curio Collection boutique hotels, and designing the Waterside District, a space containing seven distinct restaurants and bars in Norfolk, Virginia. Inspired by the nautical and industrial history of its location, the complex’s Blue Moon restaurant was shortlisted in the best bar/restaurant category in last year’s FX Design Awards. JBI is currently working on a 1,300-room hotel for an Atlantis Resort in Sanya, in southeast China, due to open this summer, as well as on properties with Hard Rock Café and Hotels.